Recently all award winners at Melbourne University School of Engineering where presented their awards. Sam Barrett is the 2018 award winner of the Peter Lloyd Scholarship to assist in his Masters years. 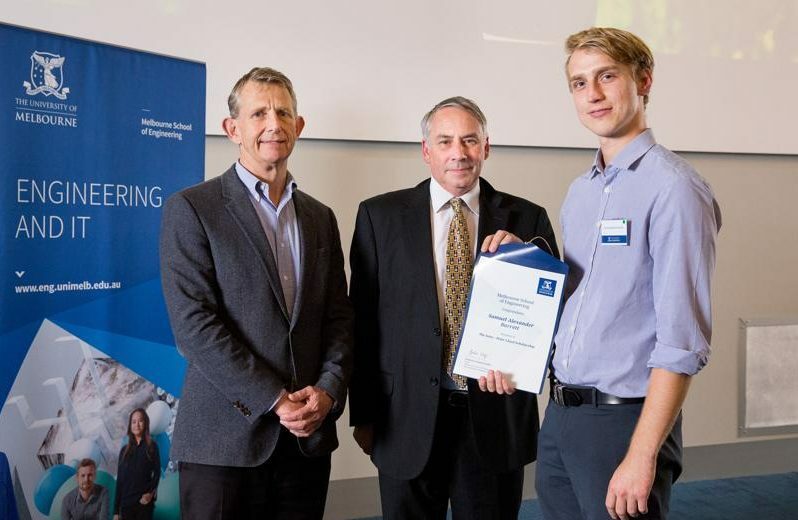 Professor Graham Schaffer, Dean, Melbourne School of Engineering, and Campbell James, R&D Manager at Setec presented Sam his award. Congratulations Sam and we wish you all the best in your final year. The Setec Peter Lloyd Scholarship was established in perpetuity thanks to a generous gift from Setec Pty Ltd. The Setec – Peter Lloyd Scholarship is awarded to students entering their final year of the Masters of Engineering (Electrical). 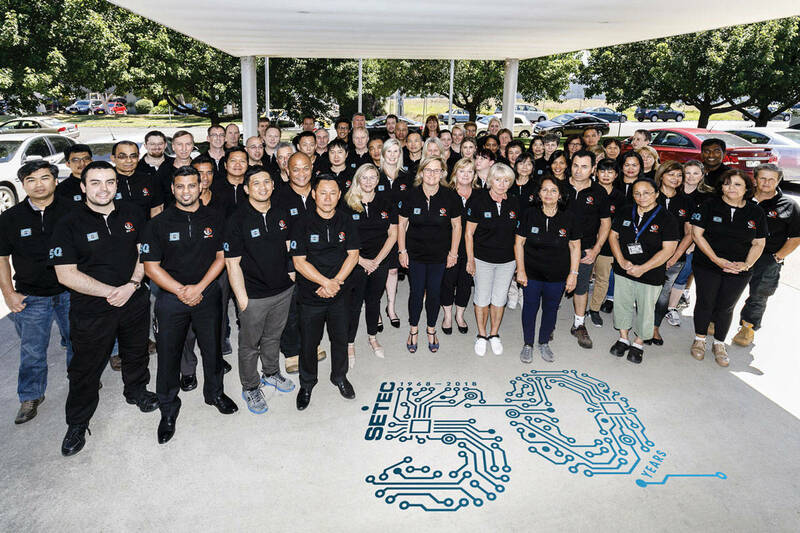 The Scholarship honours Peter Lloyd, who developed an early passion for electrical engineering while working at an Australian manufacturing firm. After completing his degree he worked for a number of organisations, including the innovative environment of the Commonwealth Scientific and Industrial Research Organisation (CSIRO). He co-founded Setec as Scientific Electronics Pty Ltd in 1968 with his wife Jill.